"Shomrei Neshama 'Meets and Exceeds' All Standards"
The Only Jewish Funeral Home in the Washington Metro Area that adheres to the highest standards of Halacha. The loss of a loved one can leave you with a lot of unanswered questions, feelings of stress and anxiety and grief that make events difficult to handle. 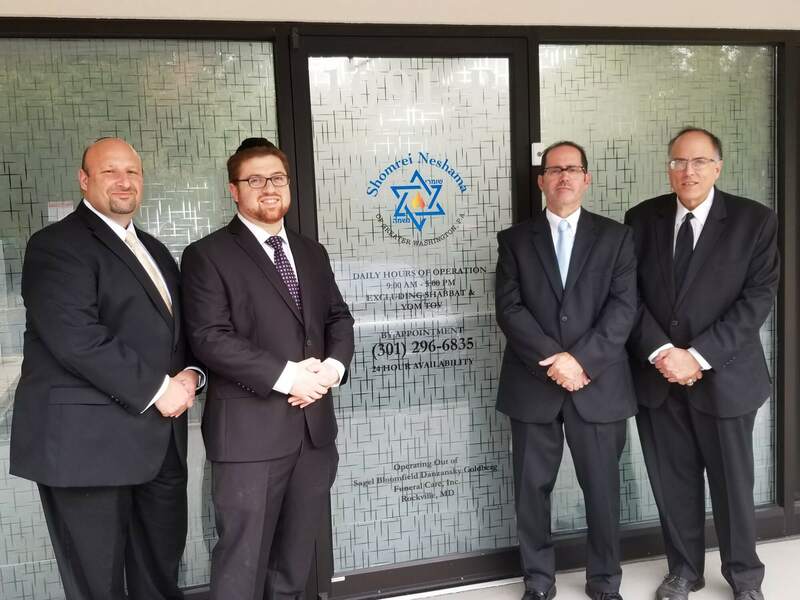 The experienced funeral directors at Shomrei Neshama of Greater Washington will guide you through the aspects of the funeral service with compassion, dignity and respect. Shomrei Neshama specifically geared to the specialized needs of the Orthodox community. Our staff is specially trained to assist you, making sure that all aspects of Halacha (Jewish Law) are honored and fulfilled. Shomrei Neshama provides individualized funeral services designed to meet the needs of every family. Only at Shomrei Neshama will you find our special “Guardian Care” service, where the funeral home and the care of all those coming to us are supervised by Shomer Shabbat employees in order that all relevant Jewish law and practice are observed to the highest standard possible. What Makes Us A Jewish Funeral Home? What Makes Us An Orthodox Funeral Home?